These pair of silver accessories are my silver fab finds for the week. I plan to wear them on Christmas Day. I found bought these accessories from two different tiangge stalls in EDSA Central. 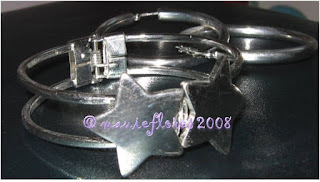 The silver star bangle was at Php 150 while the silver hoop earrings are at Php 100. The saleslady from the stall where I brought the bangle also gave me a small bag of cleaning powder. 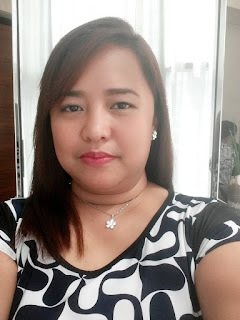 Oftentimes, I tend to be careful and picky in buying accessories especially earrings. There have been times when my ears got irritated with fancy accessories. But I already tried these silver earrings and I'm lucky that I did not get any allergic reaction.